Jörn Theissig und Wolfgank Kulow haben 2016 beide die MYAU 300 Meilen-Strecke gepackt. Letzten Winter sind sie dann zu einem gemeinsamen Projekt an den Baikalsee gefahren. Ein deutsches Filmteam war dabei. Jetzt ist die Doku fertig. Viel Spaß beim Gucken: Meine Traumreise nach Sibirien. Well, where should I start with my final report after a race like this? It is the same procedure as every year I guess, by me saying: “Every MYAU is different and once again we faced new challenges and situations we have not been faced with before”. 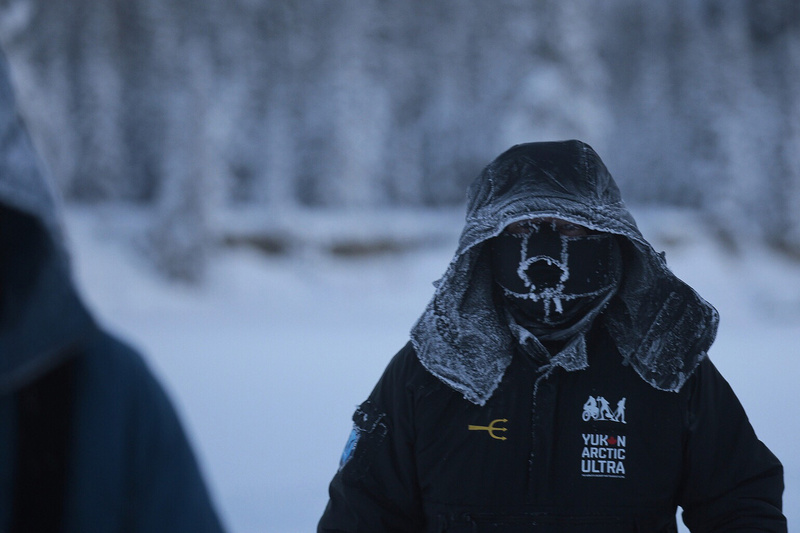 We had cold temperatures before but this constant cold of – 35 to – 45 degrees Celsius, that was new. No time to relax a little bit. Athletes constantly had to really focus on all aspects involved when trying to stay warm. On day 1 things looked very good. All except one marathon runner finished. And that is quite something! A marathon in these temperatures, with only hot water or tea at the half way mark and self sufficiency on food. That is a big time achievement. So, congratulations to all participants! Like last year 1 CAD per km run will be to the charity Little Footprints. Big Steps. 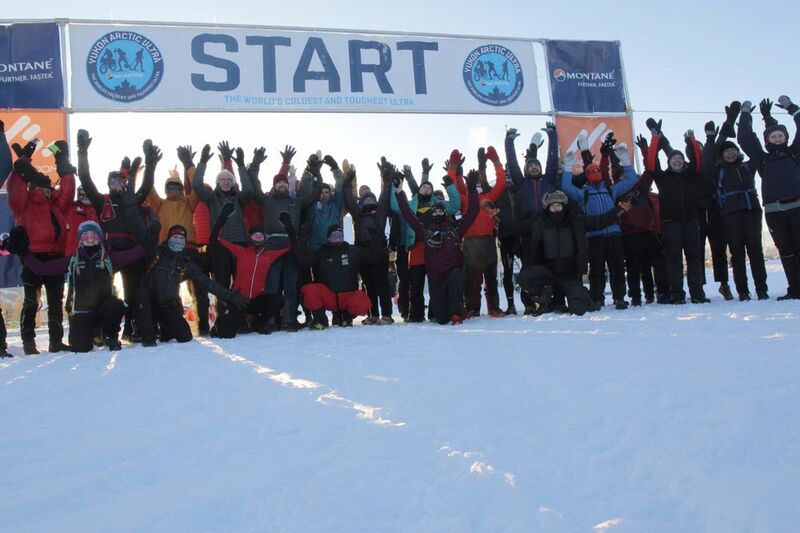 The ultra athletes all looked good at the marathon finish which premiered at Muktuk Adventures. Pure luxury for the athletes who were actually allowed to go inside a warm building and eat and drink there. In past years we were at Rivendell Farm, a great place, too. However, going inside was not possible. Once again thank you to the entire Muktuk Adventure team for hosting us and making it such a great experience. It was the first night when the problems began for some. Especially the cold areas just off the Takhini River hurt our participants. Unfortunately, that night also brought us the first cases of frostbite. And it is so difficult to imagine how quickly this happens if you have not been in this kind of cold before. One wrong decision and it hits you before you know it. Temperatures got so cold that we were experiencing difficulties with machinery. Generators broke, ski-doos did not start and with cars/trucks it was not much easier. When we knew that going on the trail would be impossible for the guides, the race came to a halt. Once all repairs were taken care of, we continued. Unfortunately, on the way to Dog Grave Lake and Braeburn, many athletes had to scratch. Our 100 mile race saw 4 finisher and they all arrived looking good. Congratulations to Emanuele Gallo (Italy), Peter Mild (Sweden), Tomas Jelinek (Germany) and Michelle Smith (UK)! For the 300 milers the suffering continued. Night after night is was extremely cold. I think a very important message was sent by Frode Lein (Norway) and Asbjorn Bruun (Denmark) when they slowed right down after Braeburn to stay hydrated and dry. It meant that they had no more chance to make the Carmacks cut-off. But sometimes the MYAU turns more into an expedition during which survival really has to be the priority. Yes, a DNF is never easy to accept but if it helps to avoid cold injuries, it’s the better option. Of course that is easier said than done. Almost everything has to be in one’s favour in order to avoid frostbite in these temperatures. Perfect gear, knowing how to use it, changing layers, keeping dry, hydrating and eating, resting and so on. It all has to come together. Like some athletes said, it becomes a process of “continuous problem solving”. Pretty soon we had only 3 athletes left in the 300 mile race. Jethro de Decker from South Africa, Ilona Gyapay from Canada and Roberto Zanda from Italy. All of them were going strong and looked good when leaving Carmacks. Unfortunately, Roberto got into trouble about half way to McCabe. He was rescued to safety and I would like to thank the entire team, especially Glenn and Spencer Toovey who were out there, found him and did everything right. Also a big thank you to Jo and Diane who helped me with the co-ordination of the rescue. Furthermore, thank you to the RCMP, EMS, helicopter crew and the hospital staff in Whitehorse. I visited Roberto today and he is on his way to recovery. He actually said that he wants to be back! Jethro had already left for Pelly Farm, when Ilona arrived in Pelly Crossing. Finally, frostbite had gotten a hold of her fingertips, too. Being a xc-skier in the Northwest Territories she was not surprised. She had been more afraid for her feet but these were fine. Nonetheless, her race was over. Her achievement is incredible, though. I have never seen a xc-skier move this fast on the Quest trail. Maybe Enrico Ghidoni but I would have to compare the times to be sure. Jethro in the meantime just kept on going. All smiles and somehow immune to the cold. It has to be said that Jethro had been here before. He participated in Stewart’s survival course and learned some valuable lessons the first time around. This time he got it all down to an art and finished in Pelly Farm. I am positive he could have easily gone back to Pelly Crossing but we did decide to stop the 300 miles at the farm. Congratulations Jethro for getting this far in these kind of conditions! 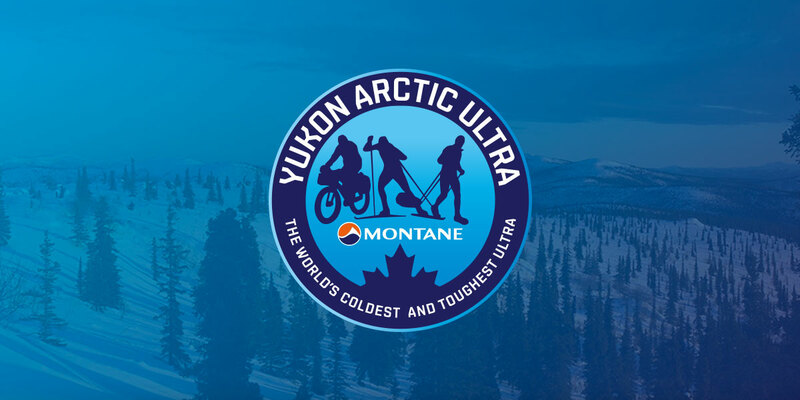 Thank you to all athletes for having come to the Montane Yukon Arctic Ultra 2018. 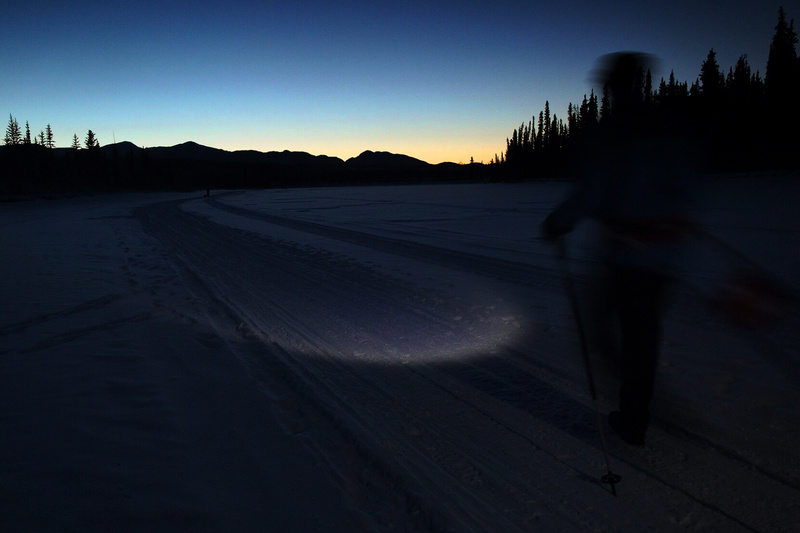 I hope to see you all again – be it in the Yukon or another ultra adventure! Thank you to this great crew – on the trail and at the checkpoints! Diane, Julie, Jo, Anja, Martine, Medina, Tania, Branka, Shelley, Richard, Peter, Gavin , Tom, James, Pamela, Stewart, Gary (Young), Gary (Vantell) and Gary (Rusnak), Josh, Joe, Glenn, Spencer, Tony, Robert and Ross. Thank you also to Gillian, Bernard and Hector who took care of the Ken Lake checkpoint. Thank you to our sponsors Montane, Primus, Yukon Tourism and the many local supporters like Muktuk Adventures, Braeburn Lodge, Carmacks Rec Centre, Kruse family, Selkirk First Nations, Sue and Dale from Pelly Farm, Coast Mountain Sports, Fraserway, Driving Force, Coast High Country Inn, Total North and Atlin Mountain Coffee Roasters. Jethro De Decker arrived at Pelly Farm 03:45 this morning. He is perfectly fine and could have easily gone back to Pelly Crossing. However, we decided to make the farm our finish line. This means Jethro is our one and only finisher for the longest distance. Ilona had also reached Pelly Crossing later last night. She had impressed us with her incredible skills on xc-skis and I will be honest, I never thought it was possible to move this fast with xc-skis on the trail we have (this is not a xc-ski track!) and in these kind of temperatures. I guess it did help that Ilona is from the Northwest Territories. So, she knew exactly what to expect. However, even to her the frostbite caught up on this last stretch and she had to stop. She herself was very surprised that it was actually her fingertips and not her toes where she was expecting it more to happen. In the meantime, Roberto Zanda had to be brought to hospital. His frostbite is more severe and he will get treatment for several days. So far I have no further news. I am not sure if I can talk to him today. If it is possible and he want to let everyone know how he is doing I will share it with all of you. It was a tough year. For the athletes and the crew. Later on today I will write a longer statement/summary. An important part of my summary will be my thoughts on the many cases of frostbite we have had this year. I would like to invite all this year’s participants to share their thoughts with me and everybody else following us here or on facebook. I will likely get a lot of questions in the next few days as to why we do what we do, what we thing about this extreme cold and so on? And I can of course only guess what you, the athletes, think. Some feedback I already got and it was very positive. But I have not spoken to everyone. If you want you can email me or send a private message on facebook. At 16:05 Jethro de Decker reached our McCabe checkpoint. Temperatures are still around – 40 degrees Celsius. He has got no frostbite and looked good when coming into the CP. He is now resting and was planning on heading out again soon. The crew checked on Ilona in the afternoon and they said she was really enjoying it. She should be in McCabe soon. Roberto Zanda in the meantime is closing the gap a bit and will be in McCabe in the early morning hours if he continues at his current speed. Further back Frode and Asbjorn had to stop their race as they could not make the cut-off time. I admire their decision to rest, dry gear and hydrate. It meant they lost valuable time but they do not have a single problem. They made the conscious decision to be slow but safe. Rather than pushing and possibly getting in trouble. That probably was not easy. They got a ride with Bernard and Hector back to Whitehorse. Ania, Martine and James are waiting for the athletes in McCabe and the rest of the crew will be in Pelly Crossing over night. Like on all the other days we have seen temperatures down to – 40 degrees Celsius during the day. In all 14 previous races we have not had anything like that. For the athletes it meant still no chance to „relax“ but a continuous worry about always doing everything right. When Jovica reached Ken Lake we received the news shortly after that he can’t continue. As was the case with so many others, frostbite finally got him. He is now back in Whitehorse where he will start treatment and recovery. In the meantime Jethro de Decker reached Carmacks and Ilona Gyapay is only a short distance away. Roberto Zanda is 17 miles out and should make the Carmacks cut-off (as he is getting time credit for Dog Grave Lake). 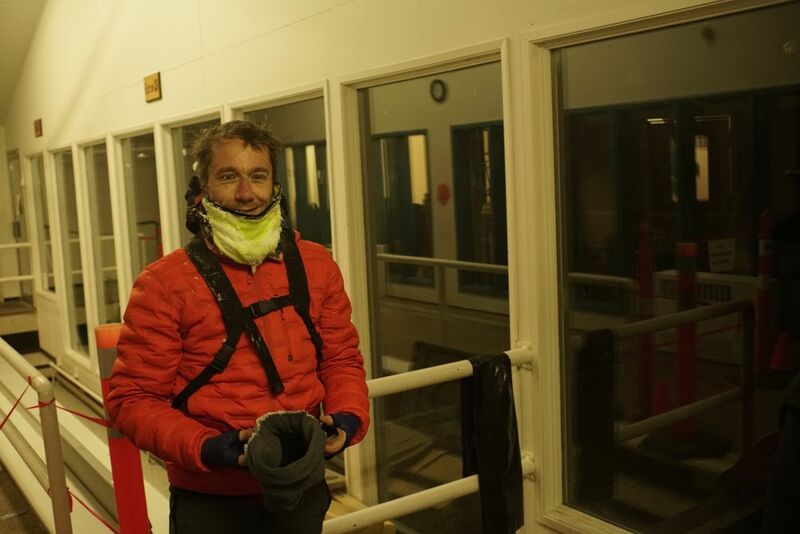 Frode Lein and Asbjorn Bruun reached Ken Lake. They get a time credit, too. However, they may not get to Carmacks in time. If you want to see some more new photos, please have a look at our gallery which was just updated. Emanuele Gallo from Italy arrived in Braeburn February 3rd at 22:11 which makes him the overall winner of this year’s 100 mile race. The entire crew is really happy for him. Right from the beginning he has shown the characteristics that are so important in the Yukon. He is obviously a strong athlete but he was also well prepared and always in a good mood. So, it’s well deserved. Other athletes have also shown enormous skills and mental strength. 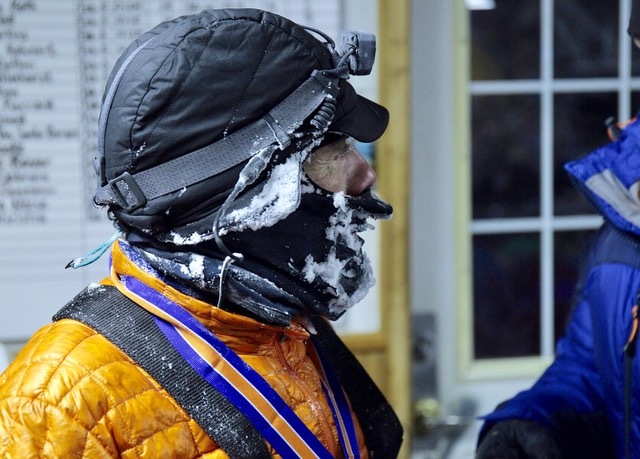 Peter Mild from Sweden arrived February 4th at 00:16 to rank second overall in the 100 miles. Tomas Jelinek from Germany reached Braeburn Lodge at 02:19 placing 3rd. Congratulations to all of you! None of the 300 mile athletes have left Braeburn, yet. Jovica from Serbia was the first to arrive. When removing the tape over his nose the top layer of skin came off. One of the dangers, when using tape on facial skin. Parts of his nose that were not covered looked like they may be frostbitten. Nothing major but possibly bad enough to not let him continue. We told him to get a good sleep and when he gets up we will have a look at it again to decide. Next 300 miler to arrive was Nikolaj Pedersen from Denmark. He has got frostbite on the tip of some toes. Again, not serious but definitely bad enough for him to have to stop his adventure. He is now resting and will get a transfer back this morning. Fortunately, we also have several 300 milers who were have no frostbite or other problems. They certainly are suffering by now but are all having a rest and can continue. Ilona Gyapay and Asbjorn Bruun who I should mention are doing the race on xc-ski, which is difficult to begin with and in these temperatures absolutely amazing. Normally xc-skiers are the first to get frostbite on toes. Also at the CP and fine are Frode Lein and Jethro de Decker. That means still out on the trail are 300 milers Roberto Zanda and Michael Wardas. Their SPOTs are not working. That’s why our guides will have an early start to check on them. Michelle Smith is on the trail, too. However, her SPOT is sending and she signalled that she is taking a break. This morning the crew at Dog Grave Lake re-checked if all athletes had the necessary kit to build a fire and operate a stove. They also checked the athlete’s clothing and made sure everything was as dry as possible under these circumstances. We passed on the recommendation that athletes team up if they can maintain roughly the same speed and made them aware of the risks which remain high at these temperatures. Some athletes then left. Unfortunately, the extreme cold has led to mechanical problems. We are experiencing snow machine and generator failures. And it’s not just us. 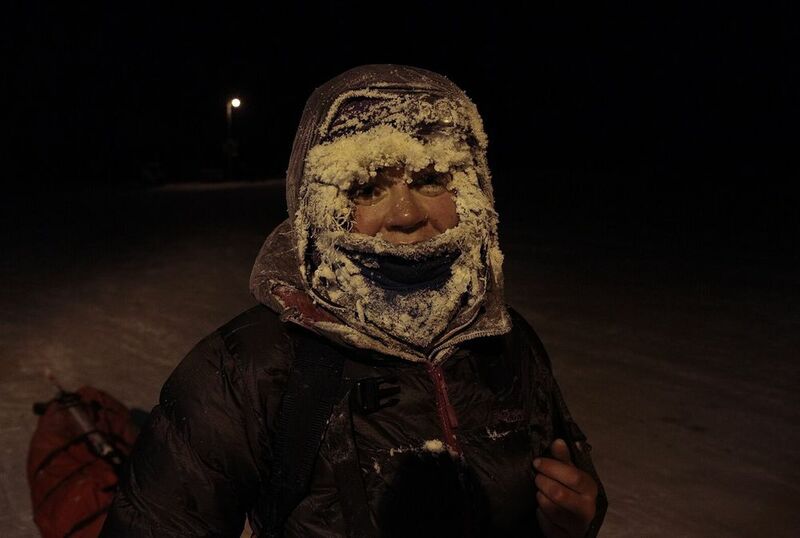 It got down to – 46 here at Muktuk and – 50 degrees C at Braeburn. In these temperatures things start to break. Therefore, we put the race on hold again. Dog Grave Lake will see if they can bring the athletes who left the checkpoint back to where they started from. Not sure if they succeed. Likely the athletes will also not be very impressed. They are fine and have what they need. However, if possible we want to avoid the risk of delayed rescues in case it is needed. Guides Glenn and Spencer will get to Braeburn around noon. Gary, Tony and Josh continue to do mechanical work in Braeburn but may have to return to Whitehorse to get everything fixed. Once Glenn and Spencer are in Braeburn, we will decide the next steps. 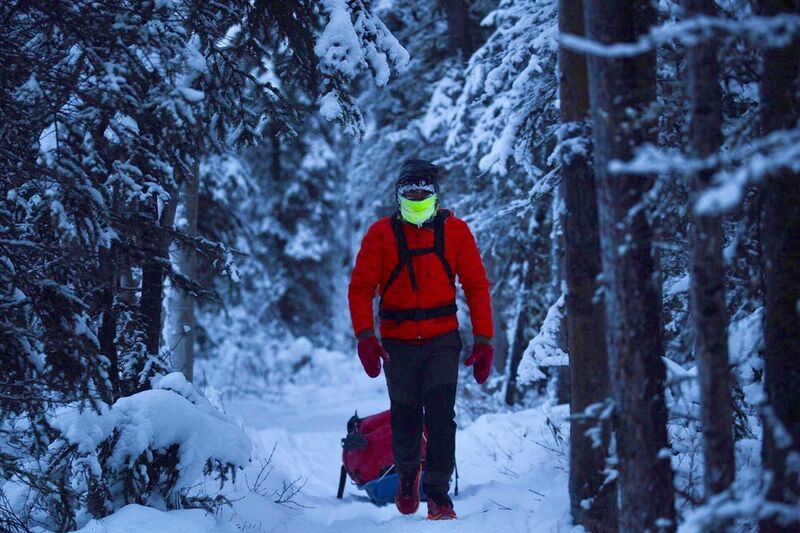 Almost all athletes looked strong as they got to Muktuk Adventures last night. So, we were hoping most of them will get through the night without major problems. Unfortunately, this was not the case. The extreme cold did eventually take its toll. Temperatures down to – 45 degrees Celsius are tough under any circumstances. But if it’s during the first night it’s particularly bad news. It actually still looked okay during the night but in the early morning hours the so called “Help” messages were starting to come through. When going out to pick up Gavin Clark and Richard Charles I also ran into Stefano Ferronato and a bit later Hiroki Asai. I brought them to Whitehorse. Gavin and Richard have frostbite. They went to hospital and got it treated. Hiroki and Stefano could not keep warm enough and Hiroki had the hand-version of immersion foot but should be fine once his hands are dry. Juan Pablo was picked up shortly after by Gary Vantell and also brought to town. His problem is frostbite on fingers, too. Other support requests came from further north. Jorgen Thorsted had to give up due to knee and back problems. More athletes who dropped out are Nick Griffith, Erik Scharpe and Jorgen Thorsted. Jorgen had problems with knee and ankles. For the other athletes I have no details, yet. As I am writing this, Joe Bishop is checking on the team from Hong Kong who pushed the “Help” button, too. Athletes who are still moving towards Dog Grave Lake have been checked upon by now. So far no further news about participants having to give up. Jovica actually managed to go past Dog Grave Lake last night without stopping. I do not have the details yet as to why this happened. He turned around eventually and is now at the checkpoint. We are in what we refer to as “high alert status”. This means the race comes to a halt. Any athletes not scratching and reaching Dog Grave Lake today will have to stay there. The good news is that we have wall tent space there for them. It won’t be comfortable but will sure be warmer than outside. The next steps depend on several factors, the main one of course being the weather forecast.